A huge range of rare rockers from the Louisiana scene – one of the most surprising hotbeds of musical activity in the 50s, 60s, and 70s – given that so many great sounds were recorded far from the well-known hub of New Orleans! These are all cuts from way out in the swamps – music recorded by underground studio legends like Pappy Dailey and JD Miller – some of which were issued on small indie labels like Starday or Hollywood, and a fair bit more of which were never released at all! Miller's legacy has been especially strong – and over the years, his vaults have provided an ever-evolving understanding of early rock and roll, rockabilly, and garage swamp – all of which are featured here in many flavors – in a lineup that shows why true connoisseurs of these sounds are constantly pointing their ears down south. 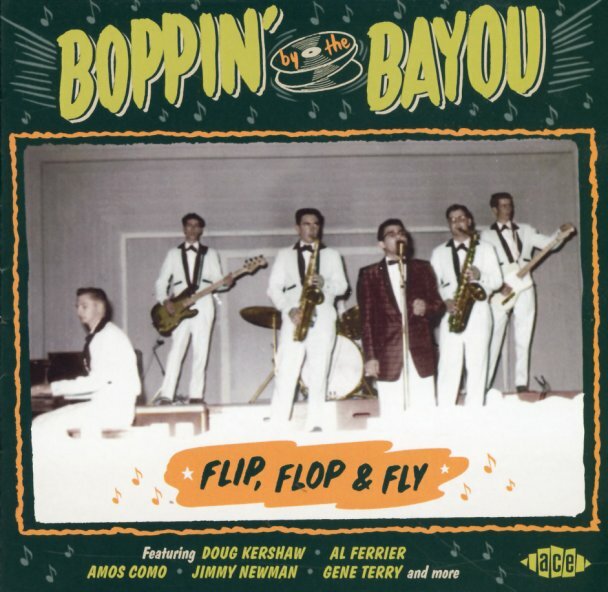 Ace provide great notes, and lots of other information to illuminate these lost corners of the Louisiana scene – and the set also features great sound throughout, more than enough to knock out any of those dodgier collections on the market. Titles include "She's My Baby" by Johnny Jano, "Put A Nickel In The Jukebox" by Willie Goodson, "Hole In The Wall" by Amos Como & His Tune Toppers, "Jambalaya" by Joe Carl & The Dukes Of Rhythm, "Goin To Louisiana" by Frankie Lowrey & The Golden Rockets, "My Glass Is Empty" by Larry Hart, "Couple In The Car" by Little Billy Earl, "Jail Break" by Dean & Jean, "Able Miss Gable" by Charles Page, "Where Did You Stay" by Boo, "So Long" by Bob Henderson, "Irene" by Rocket Morgan, and "Little Bitty Boy" by TK Hulin & The Lonely Knights. © 1996-2019, Dusty Groove, Inc.